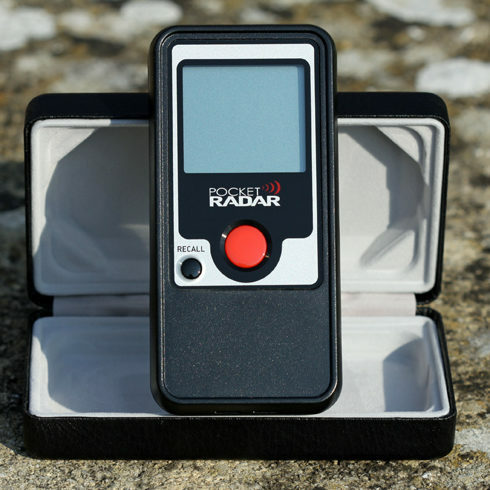 Pocket Radar Classic is a mobile phone sized speed radar. Our sister company LifeSignsMonitoringSolutions (LSMS) Ltd can explain the technology in detail – please ask. 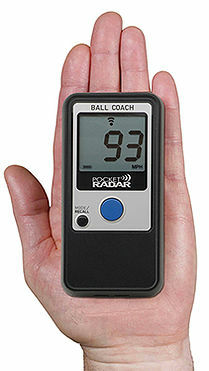 Pocket Radar Classic – makes Tennis, Hockey, Cricket Coaching much more fun & better. On a serious safety note, they are ideal for traffic safety use. Councils and parish communities have already shown significant interest in this neat and effective road safety tool; a few UK Police Forces are also using this product. 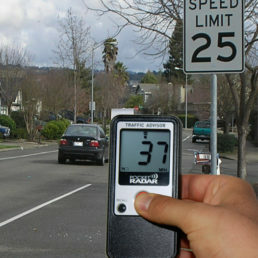 • It is accurate to +/- 1 MPH and able to measure a car from a half-mile away AND A TENNIS BALL FROM 100 feet! Based on fundamental new patents in Doppler radar, the Pocket Radar offers the same performance as other professional radar guns at a fraction of the size and cost. • It can measure speed in MPH/KPH/FPS/MPS (be aware of the setting chosen or the readings will be misleading to say the least!). Minimum speed measurable 7 MPH. • It is incredibly (literally) convenient and easy to use. Weighing only 4.5ozs / 128gms, the Pocket Radar Classic is small enough to fit into a shirt pocket and discreet enough to use without altering traffic behaviour or worrying players. The Pocket Radar Classic features a one-button “point and shoot” interface and can recall up to 10 readings. It is also rugged enough for field use every day – even the Police cannot break them. 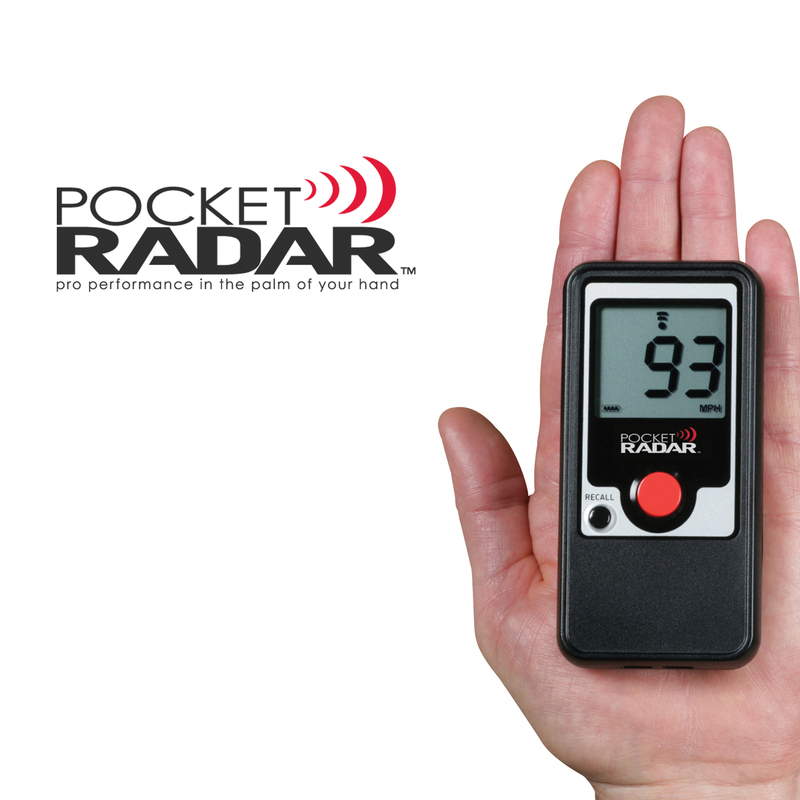 • The Pocket Radar Classic is factory calibrated for accuracy using the same technology used for the US National Highway Traffic Safety Administration and International Association of Chiefs of Police certification testing. It is certified in the USA, but not yet by HO/CAST. • New Dielectric Resonator technology allows it to be much more stable than current GUNN diode based designs, eliminating the need for any recalibration, even after being dropped. • The Pocket Radar Classic can make 10,000 readings on a single set of two AAA batteries. It comes with a hard shell storage case, a set of Alkaline batteries and a wrist strap. Only use top quality Alkaline batteries, do not use generics or supermarkets. We would be happy to supply these at cost. It also comes with a 30-Day, Money Back Guarantee. We apologise for the price increase; shipping and duty charges from the USA have made a big difference. We are looking for an alternative to UPS,which should be one of the best.